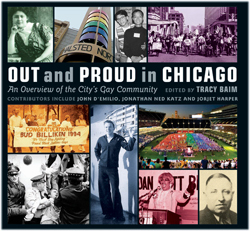 There are several events planned for the launch of the Chicago Gay History Project Web site (www.chicagogayhistory.org) and companion book, Out and Proud in Chicago: An Overview of the City's Gay Movement, edited by Tracy Baim (Agate/Surrey, 224 pages, $30). There will be co-authors at each of these events, depending on their own schedules. All events are free except for the Sept. 26 fundraiser. Sept. 18, 2008: Book launch: Thursday, Sept. 18, 7 p.m. at Women & Children First Books, 5233 N. Clark Street, Chicago, 773-769-6729. Come meet many of the writers and photographers featured in this new book. Sept. 26, 2008: History Project fundraiser featuring a rare Chicago appearance by national gay historian Jonathan Ned Katz and Chicago-based historian John D'Emilio. Hosted by Michael Leppen at the Sears Tower Metropolitan Club, 5:30-7:30 p.m., $500 donation. Call 773-387-2394 for details tickets. Sign language interpreter. Sept. 27, 2008: History Project and Community Book Launch, featuring more than a dozen of the writers from Out and Proud, plus Jonathan Ned Katz and John D'Emilio. Hear about the Web site's future and get copies of your book signed. Saturday, Sept. 27, noon-2 p.m., Center on Halsted, 3656 N. Halsted. Sign language interpreter. Oct. 1, 2008: The Chicago Public Library, Harold Washington Branch downtown, is hosting a panel discussion of the Web site and book, 6 p.m., Wed., Oct. 1, 6 p.m., 400 S. State Street, Chicago. This free event features panelists Tracy Baim, Marie J. Kuda, Jorjet Harper, William B. Kelley, Pat McCombs and Chuck Renslow, followed by Q&A and booksigning. Oct. 5, 2008: Centuries and Sleuths Bookstore hosts our first suburban Out and Proud booksigning, featuring writer Marie J. Kuda and Tracy Baim, Sunday, Oct. 5, 2-4 p.m., 7419 W. Madison Street, Forest Park, Ill., 708-771-7243. Oct. 11, 2008: National Coming Out Day is the occasion for this signing in Oak Park 2-4 p.m. at Borders, 1144 Lake Street, 708-386-6927. 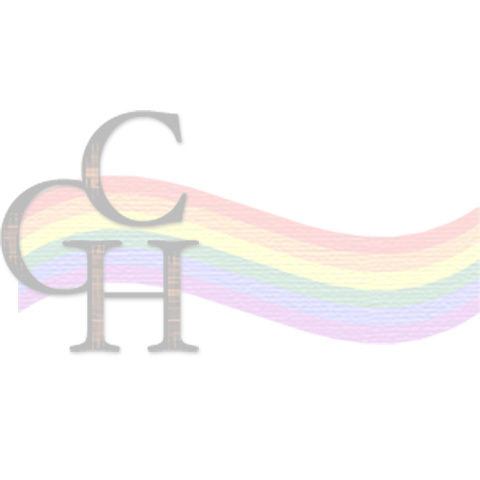 Hear from Oak Parker Marie J. Kuda, Tracy Baim and other writers about Coming Out Day, the 10th anniversary of the Matthew Shepard murder, and its impact on Chicago. Oct. 12, 2008: A special far west suburban booksigning in St. Charles at the TownHouse Books & Cafe, 105 North 2nd Avenue, St. Charles, Ill., 630-584-8600.